We all know how nerve-wracking job interviews can be, but that doesn’t mean that you need to feel like your interviewer is interrogating you. You can create a better impression at your job interview if you turn it into a two-way exchange by asking your interviewer some questions. Many interviewees hand over all of the control to their interviewer. They allow themselves to take a passive role where they will sit and answer question after question. While doing your best to make a good first impression is understandable, know that most employers won’t remember these passive candidates. Look at the interview process from the employers’ point of view. They may face hours or even days of interviews with prospective job candidates. Which ones are going to stick in their minds more? The ones that sit there quietly and robotically answer their interview questions or those candidates that engage with them one-to-one and have an exchange of information with questions and answers coming from both sides? The most memorable of job candidates are those that stick in mind for asking probing and interesting questions. When your interview feels more like a two-way conversation and exchange of information, you will be creating a much better first impression and will have a much higher chance of making the shortlist and being invited back for a second interview. 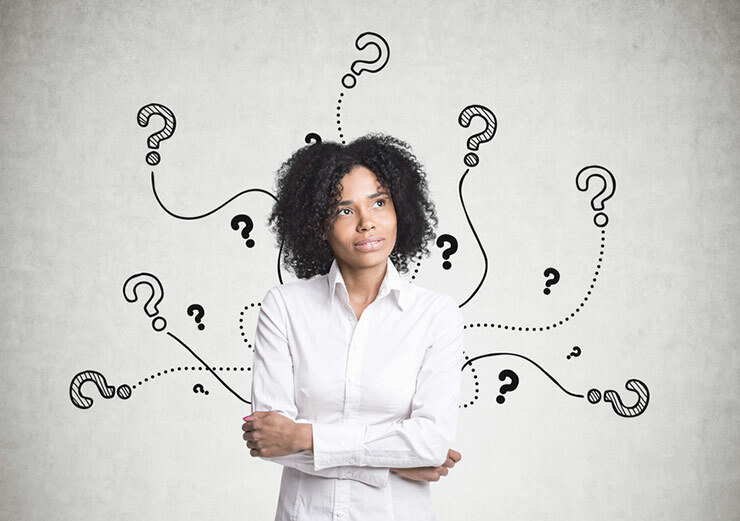 So now you may be wondering what some good questions to ask in an interview are? Asking the right kind of questions in your interview is the key here. Your questions should be relevant and also provide you with useful information that you need to know. While you may have done a lot of research on the company history before your interview, you may still have some questions in your mind that you cannot find an answer to. You should ask questions that will allow you to weigh up and evaluate the position on offer fully. A lot of job applicants go into their interviews with a few niggling doubts in the back of their mind. 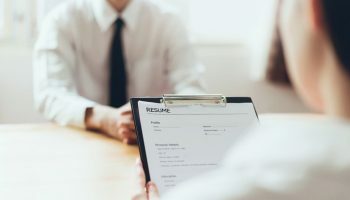 Because they want to do well in their interview, they will often not want to ask too many probing questions just in case this puts off the employer. Shall you have any doubts or reservations about the role on offer, you have a duty to yourself to get answers to your questions. It may save you a lot of heartache and frustration further down the line when you discover the job isn’t exactly what you expected and it was the wrong move to take for your career path. It is helpful to be able to break the ice between you and your interviewer early on by having a good exchange of information and asking a few general questions can help the ease and flow of your conversation. Your interviewer will most likely be expecting some general level questions to be asked, so should be well-equipped to answer them for you. Asking some general job-related and company related questions will help you to understand the role on offer and the company ethos better. You will be able to establish whether or not you will feel comfortable working for this company. The answers you receive for your most basic level questions will be able to reassure you that this is a professional company that is well organized and operates fairly. Should your interviewer react oddly or answer your questions with vague answers, then you may want to think again about joining the company. Q: What are the day-to-day responsibilities that come with this role? Obviously, you will want to know how you will be spending your day. Knowing what you will be doing day in and day out will give you a hint whether or not you will become bored with the routine. Q: What do YOU like best about working for this company? Interviewers like these kinds of questions. They are in a good position to tell you what working for the company is like first-hand, but you will also be able to tell if this is a good company to work for by their response and enthusiasm for your question. Happy employees will talk enthusiastically about the company. Unhappy employees won’t. You will learn about your teammates or co-workers, whether you will be liaising with other departments within the company and who your line managers will be. Understanding how cross-functional the job is will give you an indication of how challenging the role may be. Q: What are the most challenging aspects of this role? A good question to ask, especially if you will be expected to hit set deadlines or reach pre-determined performance goals. If you like a challenge in the workplace to keep you motivated, then it is helpful to know that you will have some challenges thrown your way to keep you on your toes. Q: Is there anything you need to know that wasn’t covered on my resume? It doesn’t help you to leave your job interview with the employer still having unanswered questions about you. Asking this question allows them to fill in any blanks in their knowledge about your work experience or qualifications, but it also shows them that you are truly honest and transparent about your skills for the role. You seem invested in the role and appear like a potential valuable asset to the company. Many career-minded individuals have taken job offers that have very little or even zero career progression opportunities. The job may have been an initial step up from what they were doing previously, but having landed the job they now realize that they have painted themselves into a corner where there is nowhere to go from here. There is no upward path to focus on. Q: What are my opportunities for professional advancement? If there are opportunities, what do they look like? This isn’t a pushy question and the employer should be able to answer this without hesitation. The answer will indicate whether you do have some opportunities for career progression or not. Should the interviewer not be able to provide you with a clear answer or is a little vague about any in-house training and development programmes, then this should be a concern for you. The last thing you want is moving into a role that will see you stagnate. The employer should also realize that career progression is important and if they want to improve their staff retention levels and keep hold of their most skilled employees, they need to be able to offer good career opportunities for their staff. Remember that you are assessing the employer just as much as they are assessing you for your suitability for the role on offer. Single out your most important career progression related questions to ask towards the end of your interview so that you can leave perfectly satisfied about your future with this company. The questions that you ask your interviewer can not only make or break your chances of landing the job, but it also helps you to be one of the most memorable candidates. Because you will stick in the mind of your interviewer for the questions you asked, your chances of landing the job on offer might double. Asking pertinent questions during your job interview will help your application stand head and shoulders above other more generic candidates that simply sat frozen to the spot without making any effort to engage with the interviewer. Make sure you make your interview a two-way street by asking relevant questions to not only make you stand out from the crowd but will also reassure you that this role is a good fit for your career plans. Remember not to sit on your laurels after your interview. If you want this job, take some pro-active action to help boost your profile by writing a thank-you letter to the employer. It can go a long way to make your application more memorable. Every job application starts by providing a strong foundation. Your foundation is your resume – this is the document that will open the door to your next job opportunity or career move. Make sure you make the right first impression by delivering a well-crafted and detailed resume. You can make the best start by using one of our beautifully designed resume templates to set you off on the right foot.